KKKL offer daily coach from Singapore to Kuala Lumpur Sentral(KL Sentral), departing from Tampines and Bugis MRT. We have 2 departure per day, one is morning 7am and another departure timing is 12 midnight. 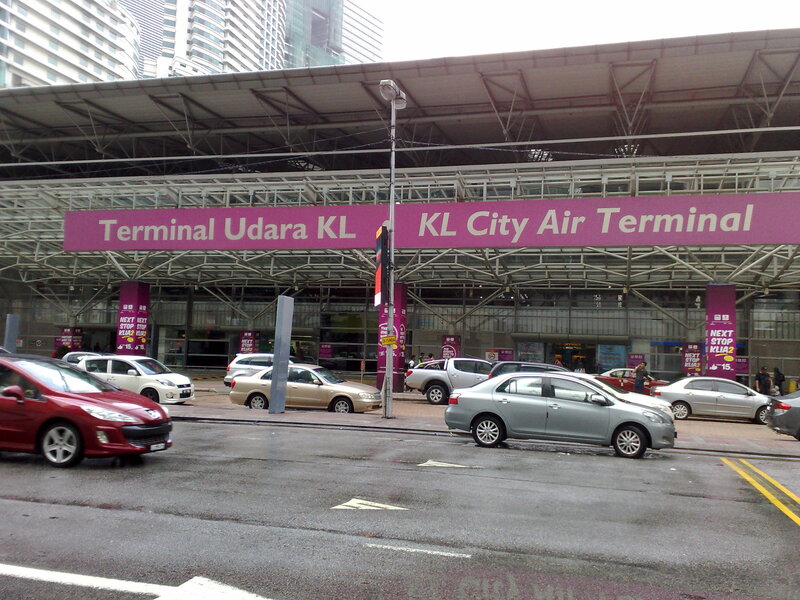 We also offer return trip from KL Sentral to Singapore as well. For bus from KL Sentral to Singapore, the pickup point is at the KL City Air Terminal Entrance. You just need to wait at the entrance and look out for KKKL bus. As the bus is very big, so, do not worry for not able to see the bus. 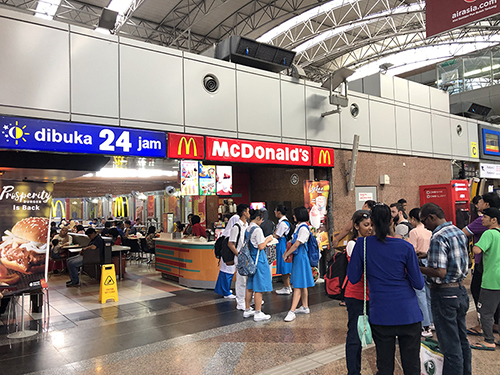 KL Sentral is a very convenient place where it is the main train station connecting to all part of Kuala Lumpur. 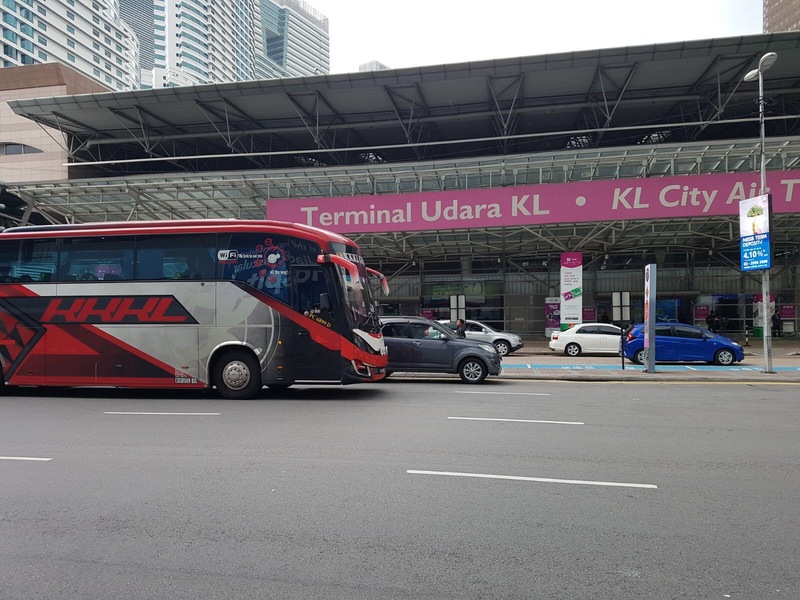 If you have connecting flight from KLIA or KLIA2 to other country, you can take the KLIA express train from KL Sentral to the airport from RM55. The journey from KL Sentral to KLIA will take only around 28min. Besides KLIA express to airport, you can take another train that is KTM (Keretapi Tanah Melayu) to other part of the states as well. You can take KTM train to various part of Malaysia including Ipoh, Butterworth, Johor Bahru as well as Singapore. Other mode of transport like buses also can be boarded from this KL Sentral. The ticket price from KL Sentral to the airport is only RM11 and the journey will take slightly longer than train which is around 1 hour 15 minutes based on normal traffic condition. 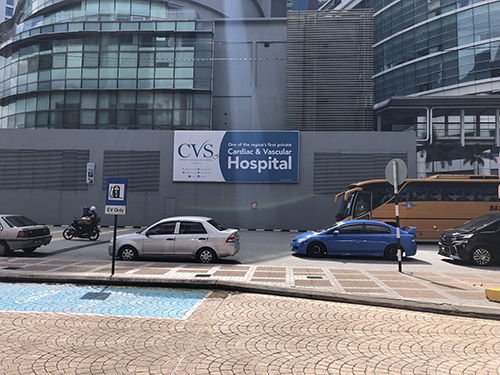 Besides KL Sentral, it has also a shopping mall connecting to this area. The shopping mall is called Nu Sentral, where this shopping complex is build to cater for the working adult around this area. Besides shopping mall, it has 3 hotels which are around KL Sentral. There are two international 5 star hotel and the name is Hilton Hotel as well as Le Meridien Hotel, another four star hotel is Aloft Hotel This KL Sentral is so much convenient that anyone who is thinking of going for any connecting flight or places, this is a place to drop off. 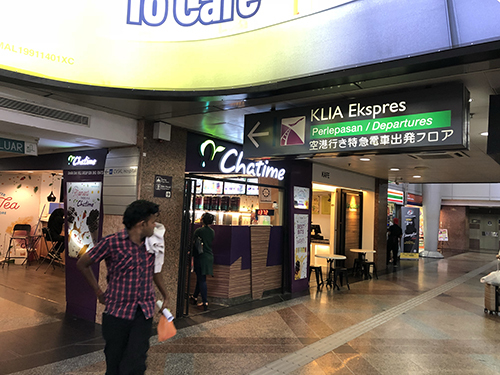 KL Sentral is very big and is very well connected to all the railway network and also shopping mall. Here are some guideline on how you can get to the bus pickup point from inside KL Sentral. 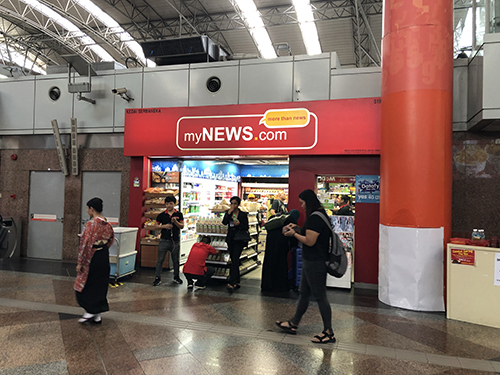 After that, look out for myNEWS.com convenient shop. This shop is directly opposite of Mcdonald. 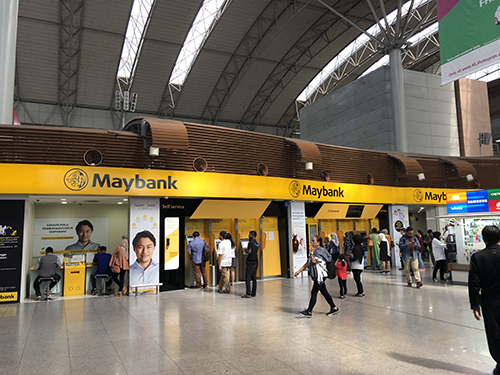 After you have turned to your left, continue to walk until you see a Maybank on your left. You can continue to walk until you see a glass door which is the exit. 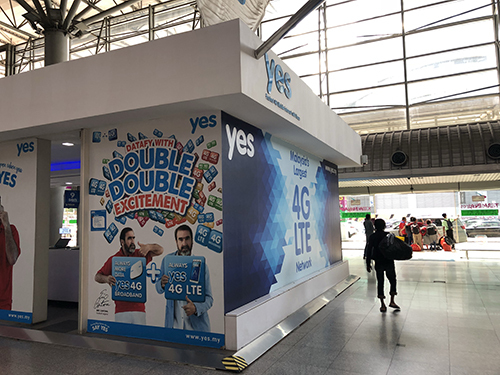 Please continue to walk and you will see Yes4G booth and you will see the exit already. If you still unsure, you may take a look at this link, we have uploaded a simple direction on YouTube. This restaurant is located at top floor of Nu Sentral shopping mall. If you like Peranakan food (Baba & Nyonya), this is a restaurant that is worth considering. This restaurant has bright and colorful exterior, which make it easy to spot on. Try their signature dish Itik Tim (duck broth made with salty vegetable) and Peranakan steam fish (sweet and sour fish). After a heavy meal, remember to try their mouth watering durian chendol as dessert. If you are looking for something spicy, something different with affordable price, this restaurant is the place you can look for. Warisan is located at the basement of Nu Sentral. It serve varieties of Malay food such as Mee Kuah, Laksa, Porridge and Roti Jala. If you can challenge more spicy food, please remember to try their Nasi Kukus (steam rice) with fried chicken and their specially made rendang gravy. You can also request for extra chilli and sambal belacan. If you love burger and looking forward to build your own burger, this is a special restaurant that you can patronize. You can choose your own sauce, meat, vegetable and they can build the burger up to your preference. If you have eaten Subway sandwich, this is exactly the burger version of Subway. Once your order has been made, they will build your burger quickly serve to you without compromising the quality as promised by the restaurant.